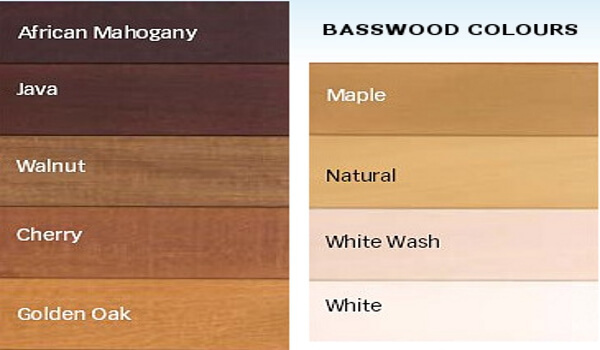 Basswood and Cedar venetian blinds offer a versatile, durable and luxurious way to cover your windows. They not only look good but can provided blockout or daylight privacy all in the one blind. Where only one blind is required to provided blockout and daylight privacy for windows and the look of wood is desired to enhance the appearance of the home. Suitable for any Melbourne home. 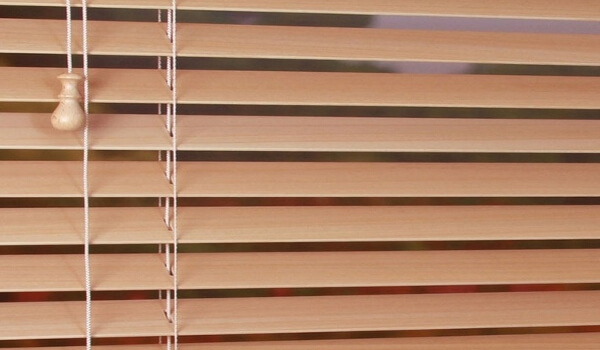 Timber venetian blinds can be made up to 2600mm wide by 2600mm drops. They employ a wand to tilt the blades a full 180 degrees and chord to lift them up entirely. They are available in either 46mm or 63mm blades. All out timber venetian blinds are manufactured here in Melbourne to your specific requirements using only quality timbers.. All backed with a 5 year warranty. Oiled or lacquered cedar blades and matching pelmets. Several different coloured basswood blades and matching pelmets. Hold down clips.